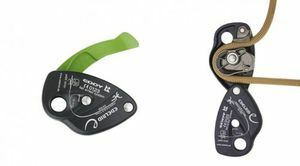 Self-braking belay device. Catch the fall of a leader or secure a toprope climber. Maximum safety because of emergency brake system.